Straight to the heart and getting stronger doing so! Because of his provocative approach Freek Sarink challenges his clients to go straight to the heart of the matter. Doing so both clients and psychologist need to get out of their comfort zone. The result is that the problem quickly shows and that at the same time clients experience Freek Sarink as a warm and sincere psychologist. It’s better to be provoked, then to be helped partially! 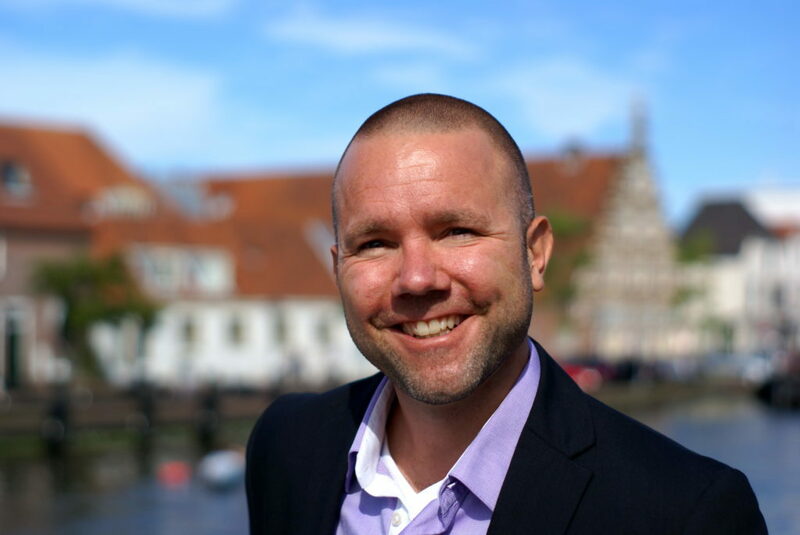 The career of Freek Sarink characterizes itself in his great interest for the wellbeing of his clients. He’s always looking for the best ways to help them. 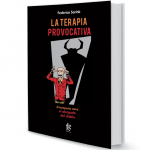 It is his conviction that the provocative therapy is de most efficient, the most exhilarating and most funny way of helping people with emotional, relational or work related problems. Freek has developed himself both as a family therapist, a couples therapist and an EMDR therapist (to treat people who sufferd traumas). He’s not only working in The Netherlands, but also in Spain. He is not just treating people in Dutch, but also in English and Spanish. He see al lot of ex pats living in The Netherlands. With a lot of dedication Freek teaches the provocative therapy to students psychology, other psychologists, managers and teachers who like to use some of the provocative style in their own work. 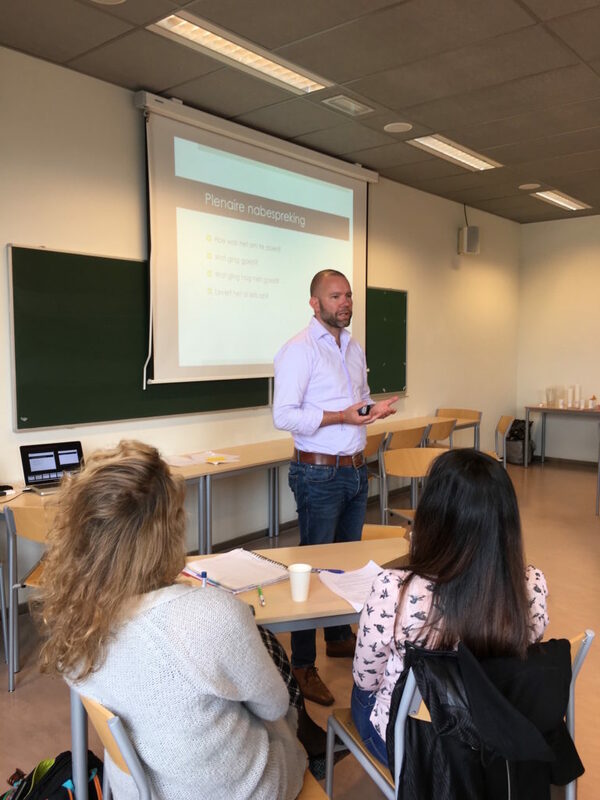 Because of his experience as a trainer and consultant for the consultancy firm Berenschot and as a teacher for the universities Universiteit van Amsterdam en the Vrije Universiteit van Amsterdam, his interactive workshops and lectures are always valued very high. Couples therapy or family therapy might require 75 minutes per session. Part of the costs might be covered by your insurance company if you have additional coverage. My office is situated in the city centre of Leiden in the former industrial complex of Tieleman en Dros. If you’re travelling by car, then you can park on the Middelstegracht itself or in the garage of the Albert Heijn. When you’re travelling by public transport you can take bus line 6 form Leiden Central Station to Leyhof. You need to get out of the bus at busstop Hooigracht. 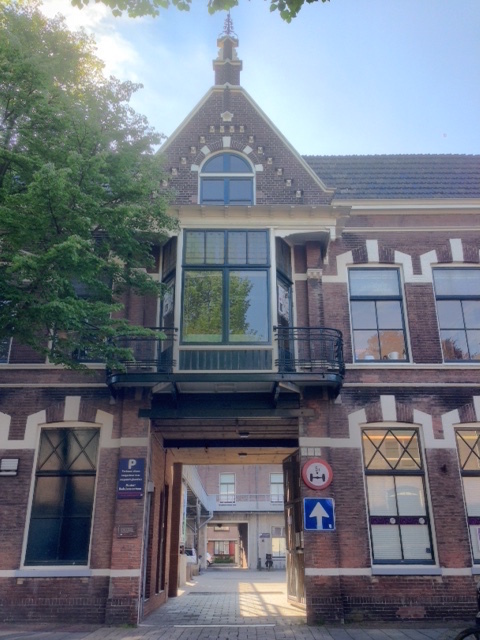 You can reach my practice via the arch on the Middelstegracht (next to framer Deviré) towards the courtyard. At your right you will find Unit 4. Ring the bell at number 87G. When inside the building you need to take the stairways to the first floor. At your right hand you will see an open doorway with a long hallway behind it. At the end of the hallway you’ll see some black chairs. You can take a seat there.